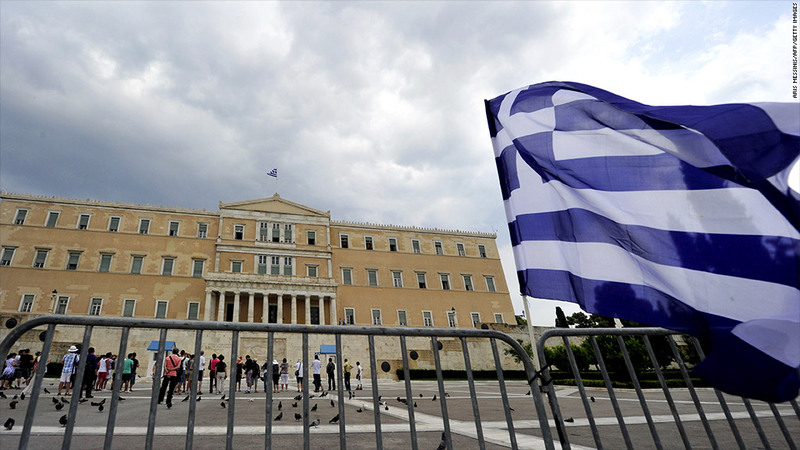 Greece's economy remains deeply depressed, but investors are taking a long-term view. Just 12 months ago, Greece was heading for the eurozone exit. This week, a U.S. corporate raider who made his name two decades ago has offered to buy Greek government bonds with a face value of nearly €3 billion. Paul Kazarian's Japonica Partners, which restructured bankrupt Allegheny International in the early 1990s, said it was ready to buy almost 10% of all Greek government debt issued last year, at a minimum price of 45 cents on the euro. That's equivalent to a 26.5% premium to the average price paid when the Greek government repurchased debt in December 2012, and 15% more than the average closing price at the end of March, Japonica said. Greece has been unable to tap international institutional investors since its debt crisis exploded in 2010. It has been bailed out twice by the EU and International Monetary Fund and was forced to restructure its debt in March 2012, imposing losses of more than 100 billion euros on private bondholders. But hedge funds -- such as Dan Loeb's Third Point -- and other niche investors who bought into Greek debt since then have made a killing, despite the country's continuing economic depression and ever higher levels of unemployment. Market sentiment has been transformed by European Central Bank President Mario Draghi's July 2012 pledge to do "whatever it takes" to preserve the euro, and a painful austerity drive that has slashed Greece's budget deficit. Related: Would you buy a Greek bank? Yields on 10-year paper have plunged from around 44% in March 2012 to 9.2%. Returns on Greek government bonds have totaled 29% over the past three months, according to Bloomberg. And Greece's stock market outstripped the rest of Europe last year. "This offer speaks volumes about the sea-change in sentiment towards Greece," said Nicholas Spiro, managing director of Spiro Sovereign Strategy. "They're clearly taking a long-term bet on the country's prospects, and that's a brave move." Japonica says it focuses on special situations with "hidden nuggets of value." In addition to the creation of Sunbeam-Oster out of Allegheny, it was involved in takeover battles at railroad group CNW Corp. and Borden Inc.
"This tender offer reflects Japonica's long-term perspective on Greece and the progress that the country has made to date," a Japonica spokesperson said. The investment firm said it would hold the first ever tender offer by private investors for European government bonds, closing on July 1. Prices will be determined by a Dutch auction -- so existing bondholders with at least €1 million in debt may offer at prices higher than 45 cents. Japonica is under no obligation to accept, but if it buys all the bonds covered by the tender at the minimum price its investment will total €1.3 billion.